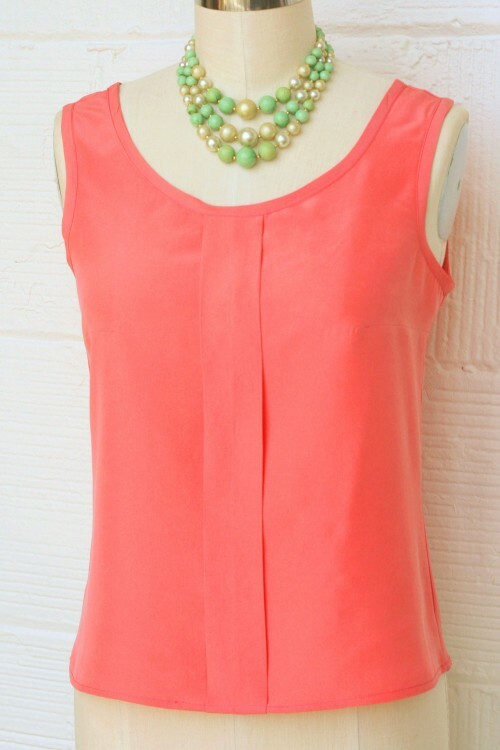 Fell in love with Colette's Sorbetto, which is a lovely, simple and wardrobe essential tank with a center pleat, bust darts and edges finished with bias tape. I really like the center pleat and imagined it in a variety of charmeuse & satin fabrics. 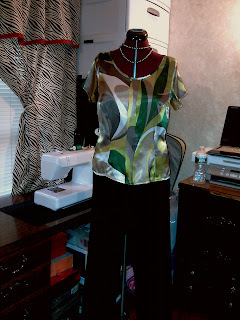 It's a Free Pattern from Colette (Thank You Colette) and downloaded it, cut the pattern and fabric using a green abstract charmeuse last Friday. 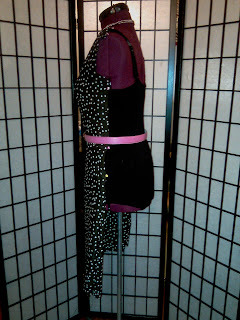 From reading several reviews on the pattern, it is boxy and runs short. 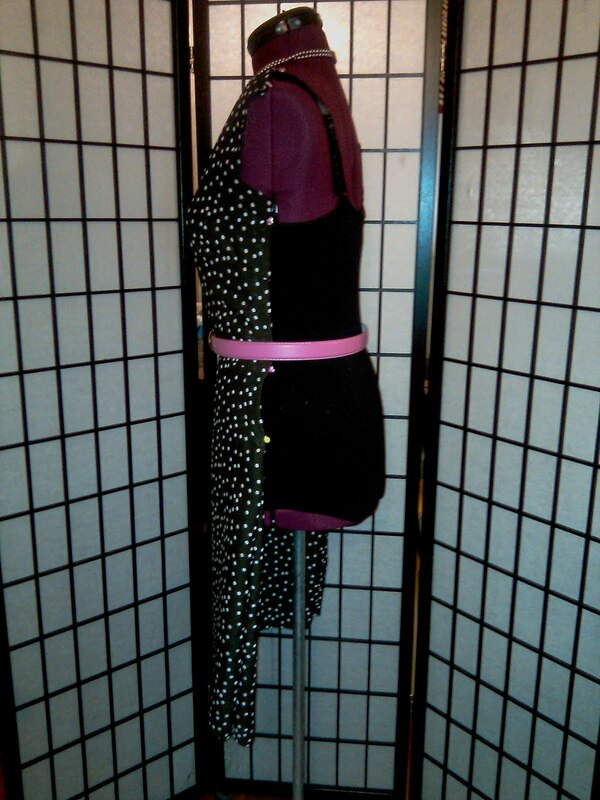 I cut the size 18 and added front & back darts for some shaping and lenghtened it 2". 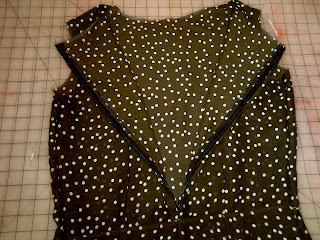 Adding darts and taking in the side seams removed the excess ease. 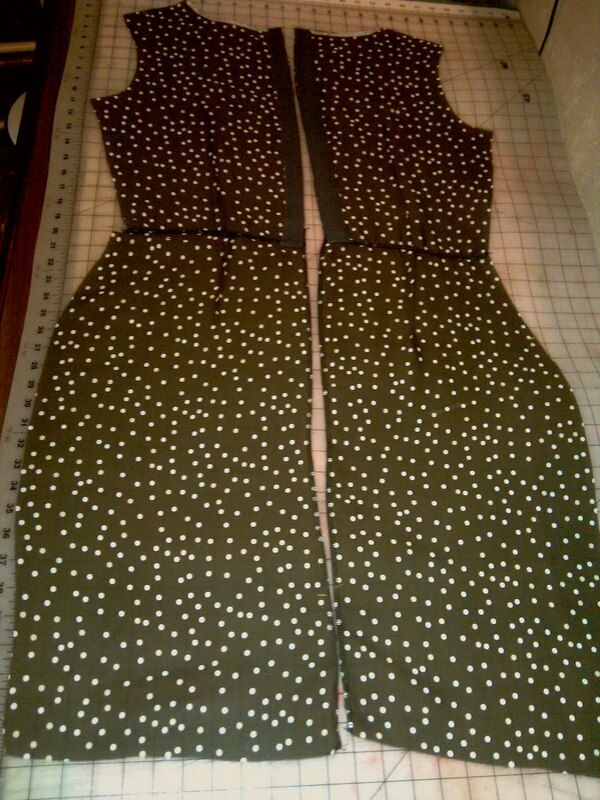 Next time I will go down a size to avoid having to remove excess ease via the side seams, but still put in darts. On Sunday, I marked it, made the bias tape from the fashion fabric and was nearing the finishing line when I noticed that I hadn't caught all of the armhole edge in the bias tape....uggh. I didn't want to unpick the stitches (which was set at 1.8 stitch length) decided to cut off the bias tape (more like hacked off) and opted to add sleeves from Butterick 5313. On Tuesday, after adding the sleeves, tried it on, realized that I liked it better sleeveless... (yeah... couldn't make up my mind on this top) and proceeded to hack off the sleeves... umm I mean cut off the sleeves and used purchased biased tape for the armholes following Wardeh's tutorial. I thought all was well when I noticed armhole cleavage, which may have resulted from hacking off the first bias tape and then the sleeves. I should've stopped while I was ahead, but naaaww, I kept at it. 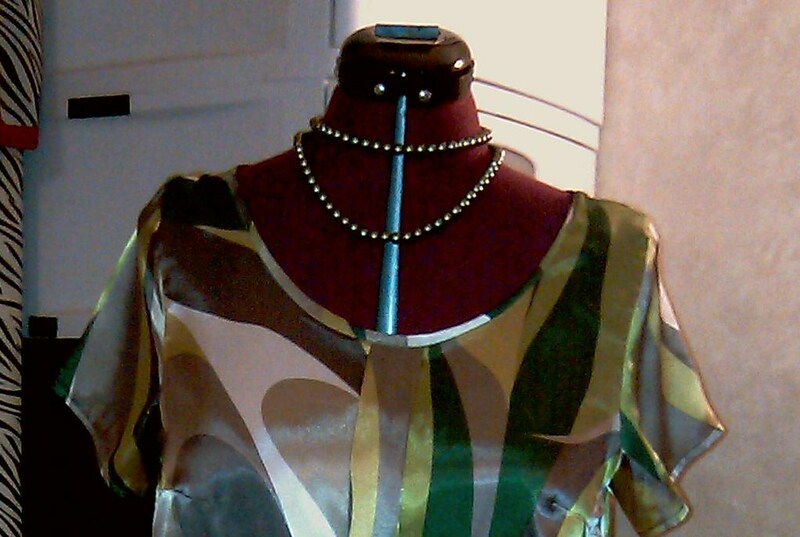 On Wednesday, I figured all I needed to do was add underarm darts to reduce the armhole cleavage. 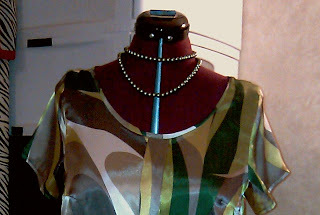 Somewhere during the process of sewing the underarm darts, I caught fabric that wasn't meant to be sewn. Tried to correct my mistake and made it worse. Honestly, I tried it on and it wasn't thaaaaaaat noticeable, but knew I wouldn't be comfortable.... so Trash Heaven it went. 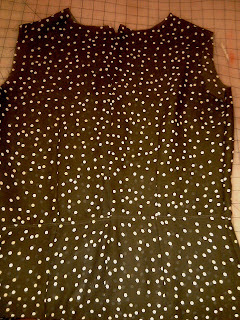 What is a girl to do, but move on to the next project, which was suppose to me my 3rd dress for Stitch Up a Dress Challenge, but didn't get to it prior to the deadline. 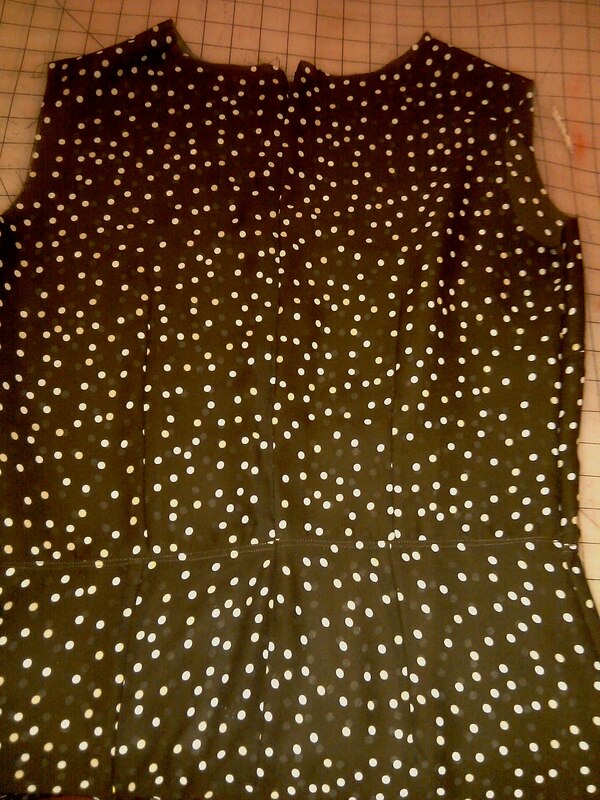 The Dress is my second time around with New Look 6968 using brown w/ polka dot chiffon fabric. I intently focused on serging all the seams and straight stitched down the seam allowances as I sewed the seams together. Especially, after reading Trena's post on seam allowances, I started imagining the worst while wearing the dress, especially with it being chiffon... yeah my imagination was getting the best of me. 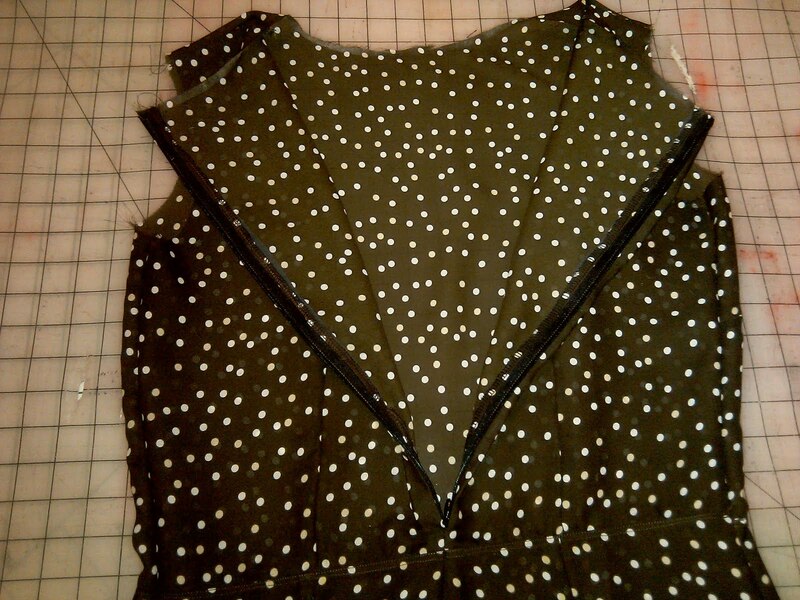 Also, used fusible interfacing along the seam allowance for the zipper to support the its weight and stabilize the fabric. 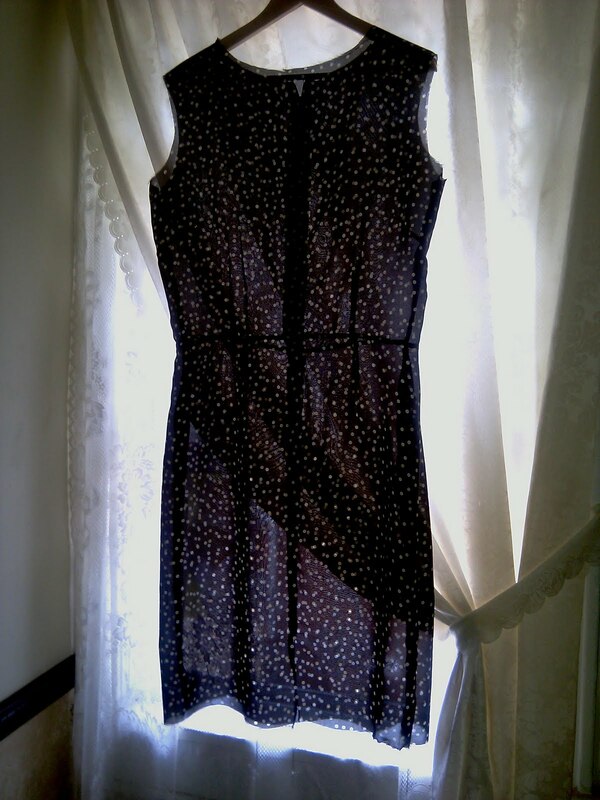 I decided to try the dress on prior to lining it to make sure it fit... this dress definitely requires a lining.... its so sheer. I thought it would look great with a splash of color.. Tried on the dress and every curse word escaped my lips... (which my mom always told me only make you stronger.... well Ma not this time) I was barely able to get the dress over my hips.... barely I tell you. After some shaking & shimmying, I got it on and boy o' boy did I look svelte... The dress is very snug around my stomach, which isn't good for me, because my waistline grows during the course of the day and need ease in my garments. Sad... I tell ya. 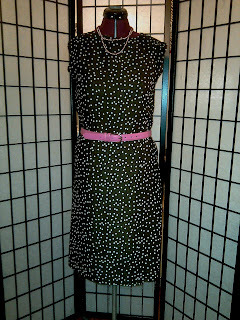 The only way I would be able to wear that dress is skip three meals for the day and forget about a lining .... which would cause visual chaos.... lol Wth a closer look, it appears that I increased the seam allowances when I put in the zipper and while sewing the skirt back seam narrowed the seam allowance. ummm yeah... don't ask how that happen. 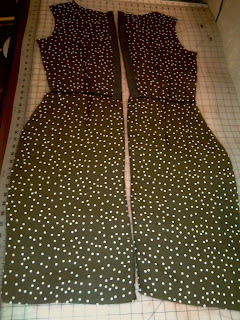 The side seams are basted in with a 1/4" seam allowance... that's as far as I could go. 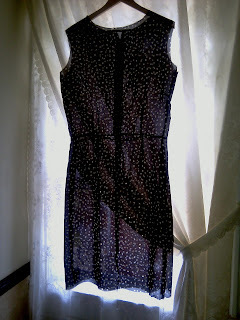 Currently, the dress is hanging up and thinking of a McGyver move to save it... yeah I know always trying to be a garment samaritan. 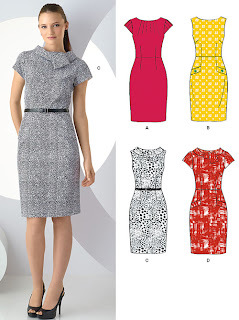 On another note I really need to move on, I am going on vacation next week and all I've been thinking about is cutting into my new fabric to make at least 2 wrap dresses to take with me. Matter of fact, what I need right now is a nap after this fiasco. So sorry that you're not having a good sewing week. I downloaded that top pattern, too. Can't seem to get to pasting it together to cut it out. Ugh, sorry about your trip to wadderville. I am still mourning my buttonhole disaster from this morning. Girl I hate when that happens. Awwww, I hate it when that happens, we've all had them, remember my plaid fiasco but your comment almost made it worth it. Have a great vacation. I certainly know how you feel after all of this that happened. Take deep breaths and get your nap before starting back in again. I do feel your frustration! I hate sewing times like this. Hopefully your next project will be a great success. So sorry to hear that your sewing did not go well! A nap will help...it always does! Ouch! I hate when that happens. Sorry about the wadders this week. I think you are wise to take a nap. It never rains - it just pours. Girl take a break for a day and then get back to things. I hate when this happens. Don't worry we all have wadders. Soooo sorry Sheila!! What beautiful fabrics, I know how you must feel...it truly is a fiasco that makes you WANT to go take a nap and dream of perfectly sewn and fitted clothing!! I hope you can somehow save that goregous dress! Good Luck! Oh, so sorry about the wadders - surely there's something you can do with the dress! Add a stripe of color on each side seam? Yeah, I tried to save my mom's capri pants that she cut too small and sewed up without trying on, but I just can't get excited about all that ripping and measuring out a strip to add a stripe to the side seams. Maybe donate the dress to charity? Cut it off as a really short shirt?